Two weeks ago, USA Today reported that Yoakum, Texas, wide receiver Joshua Moore had 53 scholarship offers, the most of any prospect in the 2018 class. Today, he has one school — Nebraska. 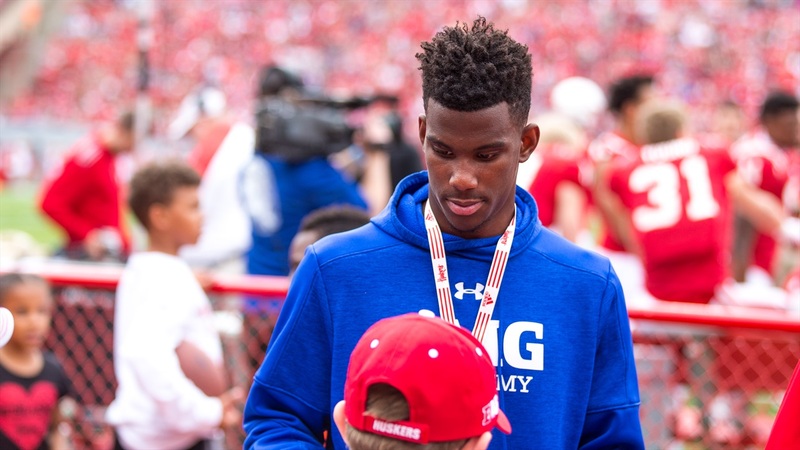 Moore chose the Huskers over a final group that included Florida State and Texas A&M. Moore, a 4-star prospect (94.4 Hail Varsity rating), was one of the top targets on Nebraska’s board in 2018. The 6-3, 175-pound, wide receiver was one of the top targets on many teams’ boards after averaging 20.6 yards per catch and grabbing eight touchdowns in 16 games as a junior. Moore also rushed for 323 yards (9.2 ypc) and four touchdowns in 2016. He spent part of the spring semester at IMG Academy in Bradenton, Fla., alongside Nebraska commit Brendan Radley-Hiles (4-star, 94.3) before moving back to Yoakum for his senior season. Moore’s twin brother, Jordan, is a 4-star (90.9) cornerback currently committed to Texas A&M. Joshua chose June 18 for his commitment as the day has special significance to the Moore family. Jordan and Joshua’s older brother, Quintin, took his own life on that day in 2013. “He was just a great overall guy," Joshua told the Victoria (Texas) Advocate last November. “He had a great heart. He always put other people before himself and for some people, that's hard to do. He just wanted the best for anybody. If he knew you, he was going to care for you with anything he had." Moore's commitment gives the Huskers 11 players in the 2018 class so far, including seven 4-star prospects.